Great for a short stay, a day, a week or two, or a month or two – all of our rooms have been remodeled. 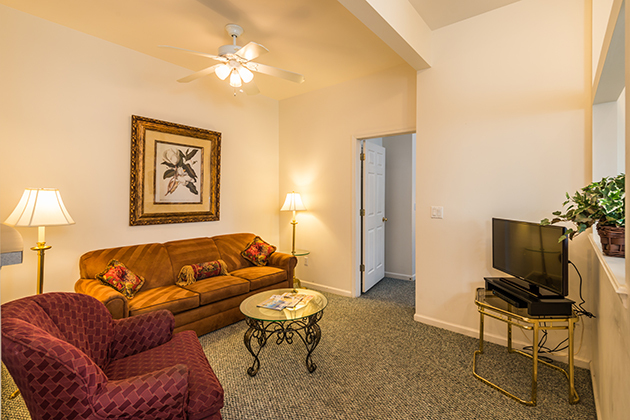 We are a small American owned property and we take pride in providing sparkling clean rooms, suites and townhouses. We have won the White Glove Award from the Superior Small Lodging Group as well as the Garden Club Award for our beautiful surroundings. 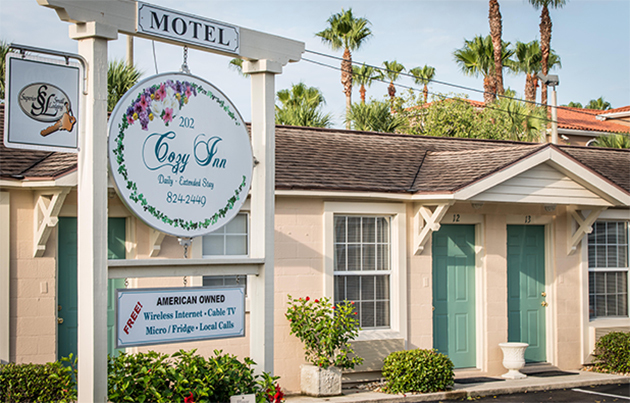 The Cozy Inn consists of two Old Homes, one with the Office and Efficiency Unit and the other with our Deluxe Suites. 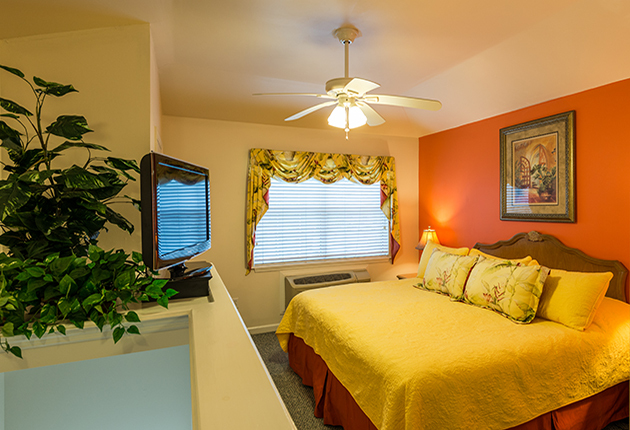 Each old house is backed by our Standard Motel Rooms (West side of San Marco) and Townhouse Row (East side of San Marco). Please note: cancellations less than 7 days in advance of booking are subject to cancellation fees and penalties including the charge of first night. It is not our policy to offer refunds following check-in. 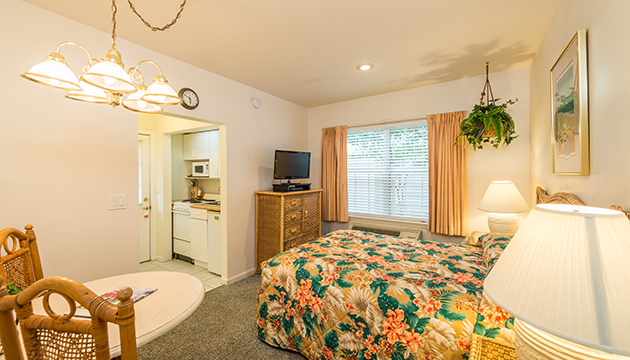 Our Standard Motel Rooms are the Olde Florida Style (small & cozy) motel rooms which offer a Queen bed, renovated bathroom with shower, small sitting area, microwave, mini fridge and coffeemaker. Parking is right outside your door. Our Efficiency Unit is slightly larger than our Standard Motel Rooms in that it includes a kitchenette. This unit offers a Queen bed, bathroom with shower, small stove, small refrigerator along with utensils. Parking is right outside your door. Our Deluxe Townhouses offer perfect accommodations for a night, a week or a month in an upstairs/downstairs townhouse setting with a king bed, bathroom with shower upstairs, living room and full kitchen downstairs. There is a sofa bed appropriate for children. Parking is right outside your door. Our Deluxe Suites offer the perfect accommodations for a night, a week, or a month! These three suites contain a beautifully decorated separate bedroom, living room and full deluxe kitchen. All suites contain a bathroom with shower and are all on one floor. There is a sofa bed appropriate for children. Parking is right outside your door. 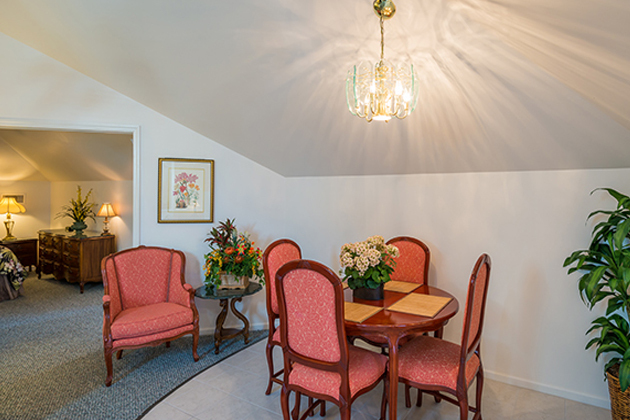 This Deluxe Suite occupies the full second story of the Southern Style House on the East Side of San Marco. It is a large private suite but still has that “cozy” feel. This suite offers a separate bedroom, a bathroom with shower, a Roman tub, a separate living room, a dining room and full kitchen.